If you hate changing your clocks twice a year, there’s good news: Washington might soon decide to stay on Pacific Daylight Time year-round. It's not a new idea, but the lawmakers pushing for it say it has a better chance of happening now than ever. When you switch your clock forward by one hour at the beginning of daylight saving time in two weeks, know this: It could be among the last times. Washington state lawmakers are considering several proposals to adopt year-round Pacific Daylight Time, ending the twice-a-year switch between it and Pacific Standard Time. It’s not a new idea. 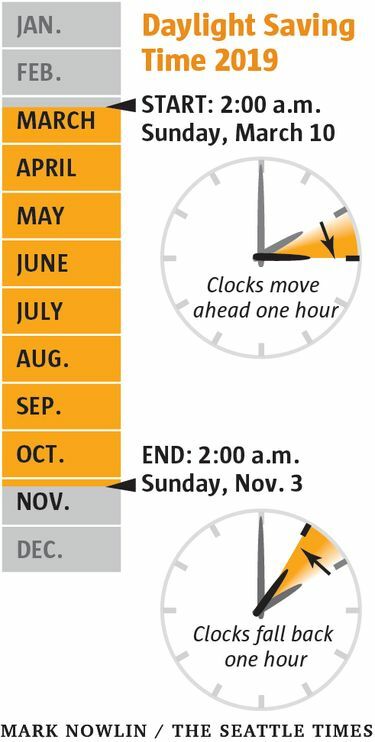 Measures have been introduced in Washington, and other states, to do away with the time change. But this is the first year, according to the sponsor of one of the bills, that it seems to have the momentum to succeed. For one thing, previous bills proposed the adoption of permanent standard time, which we use in winter. That proved to be an unpopular idea, according to Sen. Jim Honeyford, R-Sunnyside. What people want is that extra hour of light in the evening rather than the morning, said Sen. Sam Hunt, D-Olympia, who is among the sponsors of Senate Bill 5139. A similar proposal, House Bill 1196, is working its way through that chamber. Voters in California backed a measure last November to adopt permanent daylight time, and Washington legislators say that could tip the balance for our state. Oregon and Idaho also are considering a change. Hunt and other sponsors say it’s critical that the West Coast be unified in its approach to timekeeping. Both bills moving through Washington’s Legislature propose that our observation of year-round daylight time be authorized by Congress. California’s voter initiative also needs congressional approval. Some legislators also support the idea of a voter referendum. The bill is in the Senate’s State Government, Tribal Relations & Elections Committee and is expected to get the votes needed to move forward, Hunt said this week. If approved, the law would go into effect on the first Sunday in November following the effective date of federal authorization. If Congress does not authorize the revision, legislators are proposing that the state seek approval to change Washington to year-round Mountain Standard Time, which would have the same effect. Other states are trying to get off the time teeter-totter as well. Florida passed the Sunshine Protection Act last year, and a similar bill will be before the Tennessee Legislature this session. As it stands, Arizona and Hawaii are the only states that don’t observe daylight saving time. The territories of American Samoa, Guam, the Northern Mariana Islands, Puerto Rico and the U.S. Virgin Islands don’t, either. Steve Calandrillo, a professor at the University of Washington School of Law who has written extensively on the benefits of year-round daylight time, testified at the Senate committee earlier this week. He said studies show that permanent daylight time has four distinct advantages. It would, on average, save about 400 lives per year, he says. That’s because darkness in the late afternoon and evening — when most people are awake and moving around — is more dangerous than the dark of morning, when a significant portion of the population is still asleep. “There’s a dramatic threefold increase in injuries at twilight,” he said in a phone interview. In addition to the increased number of drivers on the road in the evening, he said, it’s a plausible hypothesis that early birds may be more responsible drivers. Eliminating the clock switch would also improve well-being simply by avoiding the disruption caused by adjusting to a new time twice a year. Honeyford said that most of his constituents seem to be in favor of the change to permanent daylight time. 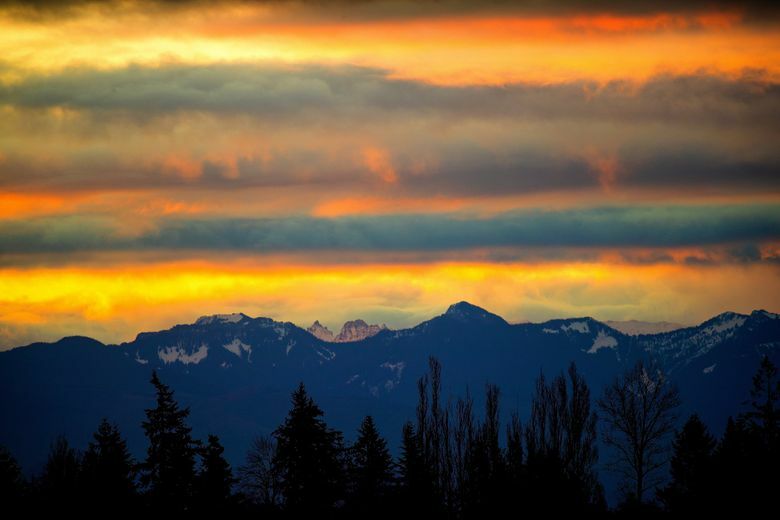 On Seattle’s shortest winter day, the sun rises at around 8 a.m. and sets just after 4 p.m. If the switch to Pacific Daylight Time were to become permanent, the sun would rise at 9 a.m. and set at 5 p.m. on the shortest day. Those who oppose this plan most often say that switching to daylight time in the winter would leave children standing at their bus stops in the dark. Hunt said that though that is a compelling concern, most Washington schoolchildren are already standing out in the darkness while waiting for their morning bus, and schools can change their schedules if they wish. “Seattle has proved that the schools can adjust when they start,” Hunt said of Seattle Public Schools’ recent adjustment to a later start for students at some schools. Jim Mackey, a boating aficionado who lives in Bellevue and works a day job in Seattle, said most people he’s talked to who oppose the change don’t really understand it. For one thing, he said, many people don’t realize that, since 2007, daylight time has been observed for eight months of the year and standard time only four months. In 1951, Washington state voters prohibited counties, cities and other areas of the state from observing any time other than Pacific Standard Time. But a decade later, voters here instituted daylight saving time, and we’ve been changing our clocks twice a year ever since. The federal Uniform Time Act followed in 1966, instituting a nationwide daylight saving time, but allowing states to opt out as long as the entire state (or the entire part of a state that’s in a given time zone) does so. That exemption allowance is what could let Washington and other West Coast states make this change.